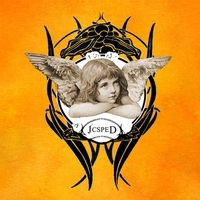 JC SPED was the name I gave to a series of lo fi 4-track tape recordings I made in the 1990s that used Casio keyboards and tape speed manipulation as the primary sonic signature. Some of these songs have now been re-recorded, along with a few new ones and they have just been released to iTunes, CD Baby, Spotify, and lots of other digital distributors. In order to have the all caps casing approved by the digital distributors, i was also required to ‘reveal’ what JC SPED stands for. The acronym JC SPED unpacked means Jason Camlot: Sound Processed with Extensive Depression. Have a listen, and have fun. All proceeds acquired from from sales will go towards recording the next JC SPED album. This entry was posted in Uncategorized and tagged Casio keyboards, digital distributors, Jason Camlot, JC SPED, Matthew Rosenberg, sonic signature by jasoncamlot. Bookmark the permalink.